Canning is a great way to store surplus fruits and vegetables from your garden. The only thing that you need to do is learn how to can certain types of food like green beans. If you want to can green beans as a way to preserve food, then a simple process is available. The key to being able to can green beans is the preparation that is needed. You will first need to put the green beans and sort them to remove any undesirable pieces. The next step is to rinse them and cut the ends off. They will need to be cut into smaller pieces too. 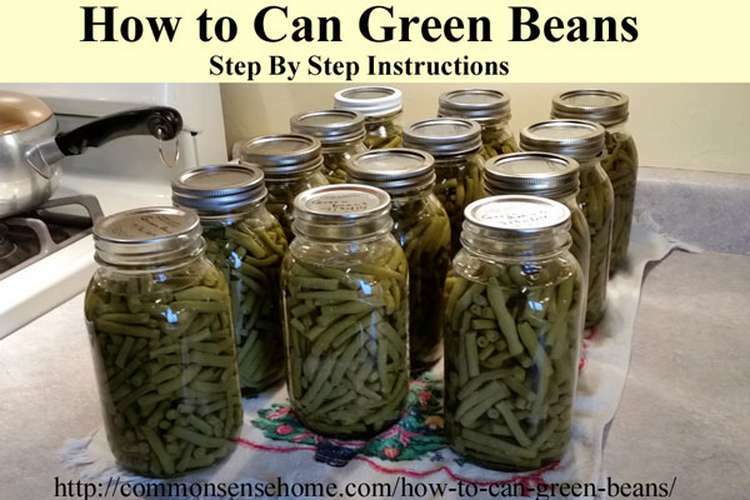 A pressure canning system will be needed to can green beans at home. The water bath method is not an option due to the low acid content of the beans. Just make sure that you have all your tools and supplies ready before you start the task.